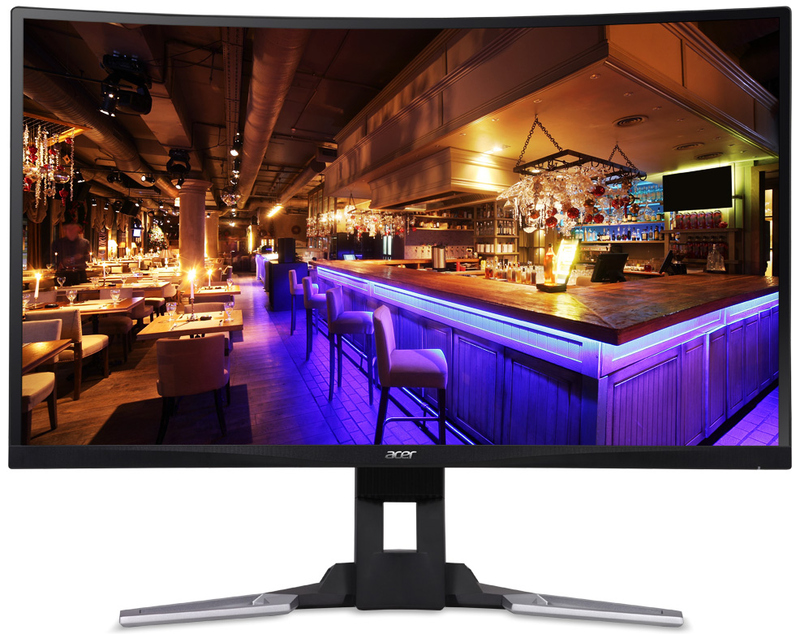 Acer has recently released two new curved gaming monitors as under the radar as possible compared to other panels, packing high end features like FreeSync 144Hz WQHD displays and HDR10 Support at what one would call affordable prices. 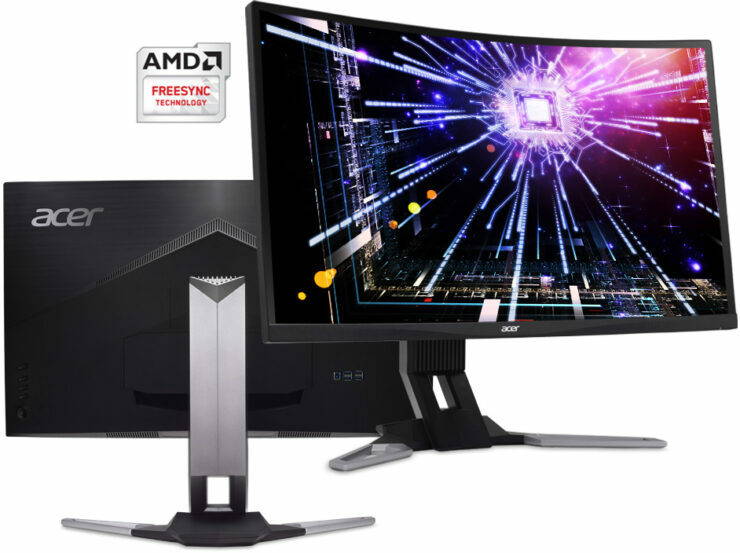 While these monitors are not branded as predators they do have an aggressive styling that is very reminiscent, and are Freesync monitors as opposed to G-SYNC. 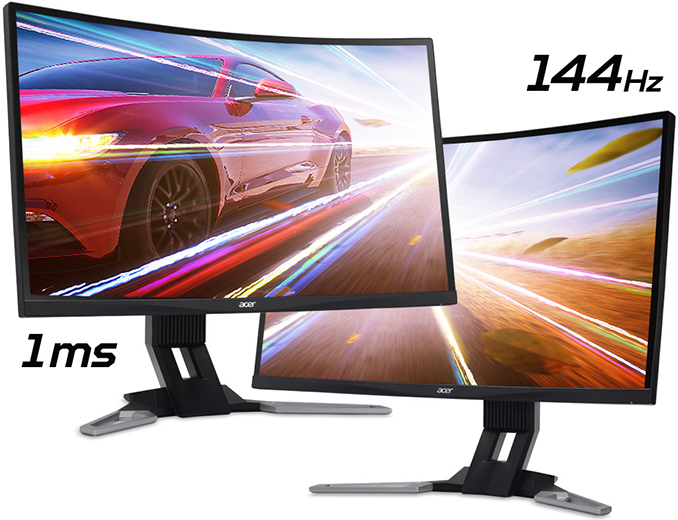 The monitors come in two sizes a 27-inc XZ271U and the 31.5-inc XZ321QU, they are both VA panels sporting a 1440P resolution at 16:9, with 250 – 300-nits brightness and a 3000:1 contr4ast ratio. It also features a 1 MS MPRT response times all at a lovely 144 Hz refresh rate. Acer boasts that the monitors cover 85% of the NTSC color space, this means that it can reproduce more colors than the sRGB color gamut in total. Some other interesting bits is that Acer has held back on its most premium features on this monitor to create a distinction between this and other panels. Some of the features it does pack is Acers black boost mode which will adjust brightness of dark scenes in order for you to see your opponents in the dark, which may be something you would use or totally immersion breaking (insert angry Skyrim guy here). Secondly they support AMD’s Low Frame Rate capability and has a FreeSync rated range of 48 to 144Hz, which is quite solid. Finally they do list support for HDR10, though the brightness is too low for true HDR so the quality of it is a bit of a question mark. As for the inputs, on the XZ271U and XZ321QU Acer has also aimed at PC Gamers who also game on consoles as well, as such it packs an interesting variety of ports. A DisplayPort 1.2, mini DisplayPort 1.2, as well as two HDMI 2.0 headers. The monitors also feature PiP and PbP for two devices, which is unexpected at this price point. Both monitors have dual 7 W stereo speakers and a headphone jack as well as a 4 port USB 3.0 hub.